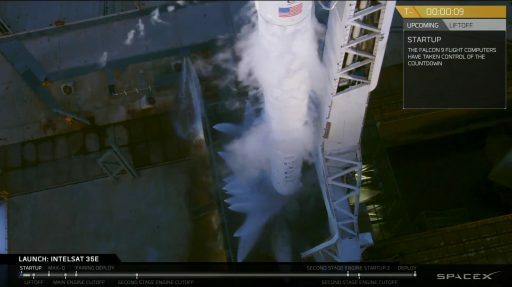 It was an uncomfortable Déjà-vu for SpaceX Launch Controllers on Monday when their Falcon 9 rocket aborted its countdown in the last seconds before a planned end-of-window launch attempt with Intelsat 35e – closely resembling Sunday’s scrubbed launch attempt that suffered the same computer-triggered abort inside T-10 seconds to liftoff. The California-based launch provider had secured a potential Fourth of July launch opportunity prior to Monday night’s attempt, however, teams will take a step back and conduct in-depth data reviews on Tuesday to understand what exactly caused the last-second abort and if there is any relation to Sunday’s problem. Falcon 9 had been ready for liftoff on Sunday, standing fully fueled after a record-setting turnaround of just nine days since Launch Complex 39A supported the successful launch of Bulgaria’s first telecommunications satellite. However, an out-of-family guidance parameter caused Falcon’s computers to trigger an abort at the T-9-second mark. SpaceX traced the fault back to a ground system which provided the suspect data and determined that the rocket was good to fly as is. Corrective measures were implemented to resolve the issue and the green light was given for another attempt Monday evening. Having remained upright for the 24-hour scrub turnaround, Falcon 9 repeated a series of checks to obtain a clear bill of health prior to fueling. Weather was the major watch item throughout the afternoon with a line of storms building inland from the spaceport, being held up around 20 nautical miles from the launch pad by the Sea Breeze. 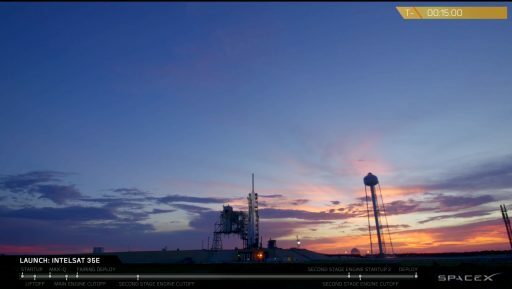 However, a pair of small storm cells formed within the 10NM zone around the pad and required teams to hold off on tanking – setting up a T-0 at the end of the 58-minute launch window to allow the storms to dissipate closer to sunset. 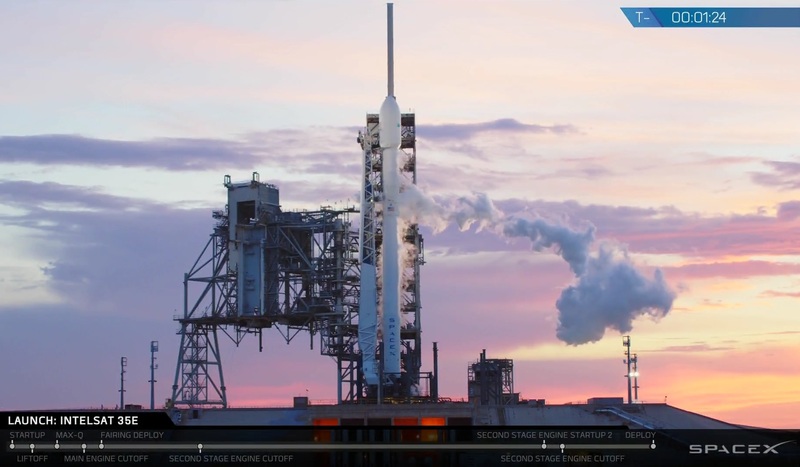 Weather took a favorable trend and Falcon 9 entered its countdown auto sequence to set up for a 0:35 UTC launch attempt, 8:35 p.m. local time. Falcon 9 stood under colorful skies as the sun set over Florida’s Space Coast and over 500 metric tons of propellants were pumped into the two-stage rocket. All operations comprising the terminal countdown were completed without issue and Falcon 9 was fully fueled and at flight pressure when a final GO was voiced by the Launch Director inside T-1 minute to liftoff. The water deluge system at LC-39A was already up and running in anticipation of ignition, but countdown clocks stopped at T-9 seconds when Falcon’s triple redundant computers aborted the count. The unplanned hold meant an automatic scrub for the day’s attempt as the window had expired; additionally, Falcon 9 could not tolerate any recycle due to warming of its densified propellants. The T-10-second mark is a critical point in Falcon’s countdown as it represents the hands-off point for ground controllers. Inside T-10, Falcon 9 completes a large number of final checks to verify all systems parameters are within allowable limits before lighting the engines. If a parameter violates its red line limit, the countdown is stopped before ignition of the engines. It is somewhat odd for the countdown to be aborted at the same time twice in a row, especially since the Static Fire on Thursday enjoyed a smooth countdown and achieved ignition on the first try. The initial suspicion following the second abort was that two different problems were present somewhere in the ground commanding infrastructure – one had been solved after Sunday’s attempt while the other was responsible for Monday’s late abort. The exact nature of this second issue was under investigation. 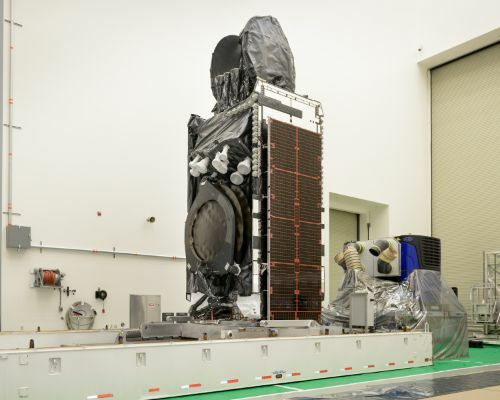 There was some urgency in getting Intelsat 35e off the pad as the Eastern Range was planned to enter a maintenance period after the July 4th holiday and would not permit any launch activity from Florida for the duration of the maintenance, expected to be around two and a half weeks. With a new attempt lined up for the 5th or 6th, SpaceX appears to have negotiated with the range to allow additional opportunities before entering the maintenance downtime. 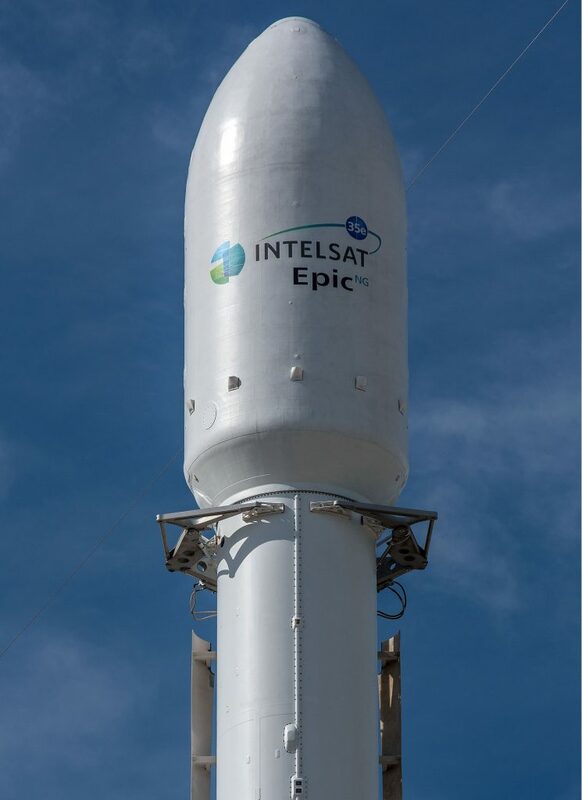 Intelsat 35e is the heaviest Geostationary satellite to launch on Falcon 9, weighing in at 6,761 Kilograms; It is the fourth satellite in Intelsat’s ‘Epic’ project that employs several multi-band communications satellites with frequency re-use to create a highly flexible architecture providing the entire palette of communications services on a global scale. 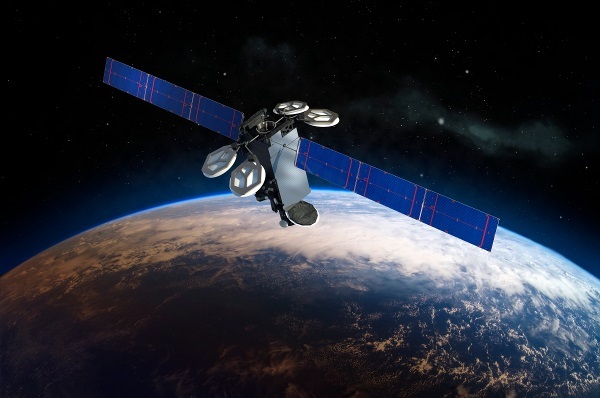 From its drop-off point in an elliptical orbit, Intelsat 35e will complete a series of orbit-raising maneuvers to attain a stationary position over the Atlantic from where it can provide coverage to Europe, Africa, the Caribbean and South America.